Doing the black bottom 2181 Beryl Cook paintings reproduced as greeting cards. Message inside card : Blank Card size 127mm x 178mm = 7″ x 5″ (inches) This card is supplied with a red envelope PLEASE DO NOT SELECT SCOTTISH HIGHLAND RATE, THERE IS NO EXTRA CHARGE FOR THIS SERVICE. Cha Cha 2081 Beryl Cook paintings reproduced as greeting cards. Message inside card : Blank Card size 127mm x 178mm = 7″ x 5″ (inches) This card is supplied with a red envelope PLEASE DO NOT SELECT SCOTTISH HIGHLAND RATE, THERE IS NO EXTRA CHARGE FOR THIS SERVICE. Bus Stop Beryl Cook paintings reproduced as greeting cards. Message inside card : Blank Card size 127mm x 178mm = 7″ x 5″ (inches) This card is supplied with a red envelope PLEASE DO NOT SELECT SCOTTISH HIGHLAND RATE, THERE IS NO EXTRA CHARGE FOR THIS SERVICE. Blue Tango 2090 Beryl Cook paintings reproduced as greeting cards. Message inside card : Blank Card size 127mm x 178mm This card is supplied with a red envelope PLEASE DO NOT SELECT SCOTTISH HIGHLAND RATE, THERE IS NO EXTRA CHARGE FOR THIS SERVICE. Bouillabaise 2188 Beryl Cook paintings reproduced as greeting cards. Message inside card : Blank Card size 152mm x 152mm = 6″ x 6″ (inches) This card is supplied with a red envelope PLEASE DO NOT SELECT SCOTTISH HIGHLAND RATE, THERE IS NO EXTRA CHARGE FOR THIS SERVICE. 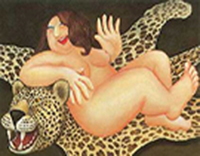 Big Olives 2026 Beryl Cook paintings reproduced as greeting cards. Message inside card : Blank Card size 152mm x 152mm = 6″ x 6″ (inches) This card is supplied with a red envelope PLEASE DO NOT SELECT SCOTTISH HIGHLAND RATE, THERE IS NO EXTRA CHARGE FOR THIS SERVICE.